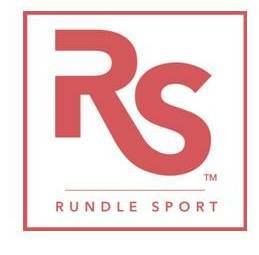 Rundle Sport Inc., is a small Canadian company based in Canmore, Alberta, Canada. Canmore is home to the Canadian National Biathlon and Cross Country ski team as well as the site of ongoing cross country and Biathlon World Cup races. Rundle Sport began with a concept to design a rollerski that would be safer, more reliable and have better performance than existing products. The RS-10 rollerski is the first of many innovations to come out of Rundle Sport. With a patented dampening flex system the RS-10 rollerski is adjustable for skier weight and simulates ski flex on snow. The flex system also provides a new level of smooth skiing on even the roughest paved surfaces. Reduced fatigue and strain injuries as well as increased training benefits have been realized by national and international level athletes, coaches and skiers. Almost all skiers that get on our skis remark: "It's like skiing on snow!" All of the products fabricated by Rundle Sport have been tested and engineered for maximum safety, reliability and performance. From aircraft grade 6061-T6 aluminium, LM25 cast aluminium flex shafts to our secret endurance formula wheels for maximum longevity and safety, we spares no expense and uses only the best components, and materials in the fabrication of Rundle Sport products. Rundle Sport has even improved the standard 'fixed frame' rollerski by introducing the A-10 rollerski with increased radius around the wheel cutouts to reduce stress concentrations and eliminate aluminium fatigue which in the past has led to catastrophic failure and injury. Rundle Sport has gone as far as facilitate the maintenance and repair of rollerskis by introducing the RUNDLE SPORT Maintenance Stand which makes changing wheels, bindings and even aligning wheels a simple and easy task. With our highly trained mechanical engineering team Rundle Sport Inc. also provides engineering design services for product design, development and testing. Rundle Sport Inc. has a mandate of continuously betterment of sport and innovation by developing products that excel in SAFETY | RELIABILITY | PERFORMANCE. Check our Rundle Sport rollerskis here.